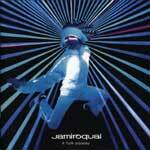 Jamiroquai's fifth studio album was released in the UK on 3 September 2001. 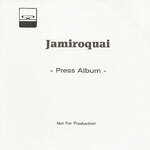 As with most Jamiroquai releases, Japan got hold of the album a week earlier (29 August) together with "Do It Like We Used To Do" and "Deeper Underground" as bonus tracks. All versions of the album (other than the Japanese release) also include as a hidden track "So Good To Feel Real", a funky jam recorded just before the album had to be delivered to the record company. The track on the album, which fades out after a couple of minutes was recorded in a single take and was never completed. A Funk Odyssey is the first Jamiroquai album to be produced by Rick Pope. In the credits for A Funk Odyssey, Jay writes "As always, I thank you, the fans worldwide who come to the shows and show such huge support that I am so grateful for (the buffalo man tattoos are fantastic) because without you there would be no Jamiroquai. To you I send all my best vibes and love and I hope in my heart you dig it. This is our funk odyssey." 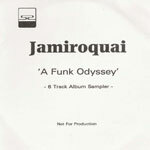 In the Official UK Top 40 Album Chart of 2001, A Funk Odyssey was placed at number 28. 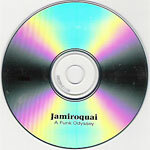 A Funk Odyssey was awarded the following British Phonographic Industry (BPI) Certified Awards - Silver (200,000 sales) and Gold (400,000 sales) on 14 September 2001. A Platinum award for 600,000 sales was awarded on 16 November 2001 and Double Platinum (1.2 million) on 15 March 2002. 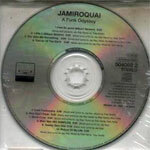 A sticker on the front of the jewel case says "Jamiroquai A Funk Odyssey Australia Edition With Bonus CD. Features 2 tracks & 'Little L' CD extra." This release combines the regular UK release with a second bonus CD, containing remixes and a live version of Main Vein. A double-cd inlay to the regular jewel case is used and a cardboard sleeve surrounds it which includes the tracklist of the bonus CD. This release combines the regular UK release with a second bonus CD. This CD-R contains an edited version of "Feel So Good" (misspelled on the cover) & an edited version of "Twenty Zero One", containing some additional vocal parts. Note that "So Good To Feel Real" is not included on this release. The CD was pressed in Austria and printed on the disc are the words "Promo CD - Not For Sale". This CD-R includes bonus track "So Good To Feel Real" and is one of the only known places where this track has been explicitely listed.